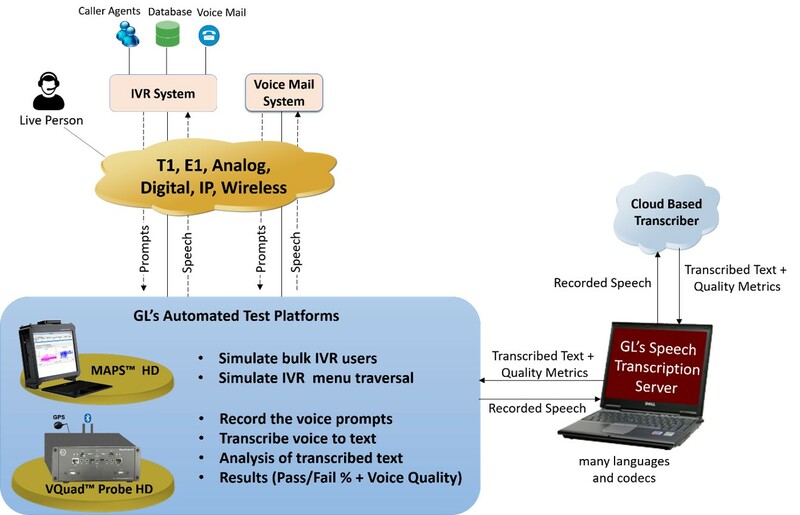 Gaithersburg, Maryland, USA – April 8, 2019 - GL Communications Inc., a global leader in telecom test and measurement solutions, today announced its new speech-to-text conversion utility referred to as Speech Transcription Server. “GL’s Speech Transcription Server (STS) is a Speech-to-Text conversion application that enables the translation of spoken language into text along with analysis of the transcribed speech”, said Mr. Vijay Kulkarni, the CEO of the company at GL Communications Inc. “Speech translation is performed on captured audio files in PCM or WAV formats. This application can be used for confirming voice prompts, testing Interactive Voice Response (IVR) and Voice Mail (VM) systems, as well as voice transmission over any network”. Mr. Robert Bichefsky, Director of Engineering at GL Communications Inc, further added that “Speech Transcription Server is an automated PC-based speech-to-text conversion utility. This can be used as a standalone utility or integrated with other GL’s test tools for automation, precise call control, and quality analysis. STS supports REST APIs which allows the utility to be used with other GL’s intrusive test tools such as MAPS™ and VQuad™ . One can send and receive transcription requests, as well as retrieve transcription results from database. MAPS™ provides a unique architecture for multi-interface, multi-protocol simulation, which make it suitable for testing any core network, access network and inter-operability functions. VQuad™ Probe HD is an all-in-one self-contained hardware supporting multiple physical interfaces for connecting to practically any wired or wireless network while automatically performing end-to-end voice and data testing over any network”, he said. Mr. Robert Bichefsky further added, “By incorporating GL’s STS within MAPS™ and VQuad™ emulator platforms, users can automate testing of IVR tree traversal for pass/fail conditions with great precision. The GL solution records each prompt (IVR menus) in an automated fashion and forwards the recorded audio files for speech-to-text transcription and analysis. Both MAPS™ and VQuad™ testing platforms allow usage of STS utility over various networks such as 2-wire (FXO, FXS), TDM, IP, and Wireless (GSM, UMTS, VoLTE, ...). The IVR Voice Prompts are confirmed during the testing operation.